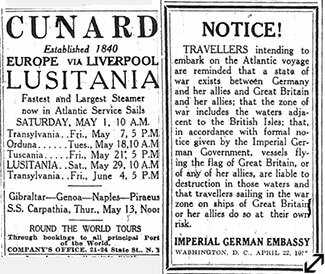 Lusitania, 1908-1914. Bain News Service. Library of Congress, LC-B2-15-13, Lot 10973. 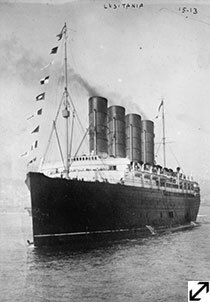 The profitable commerce the United States carried on with Britain made ships destined for England targets of the German Navy. 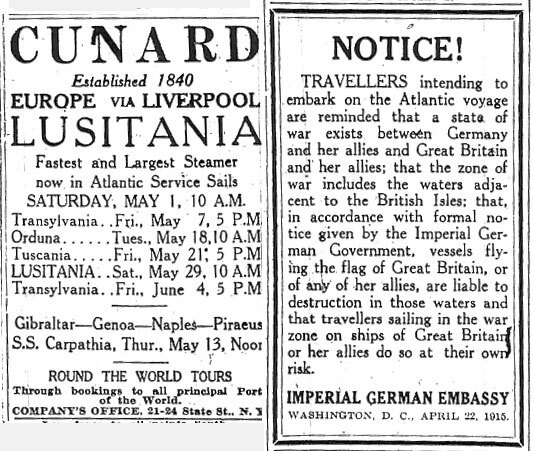 On May 7, 1915, a German U-boat torpedoed the ocean liner Lusitania as it sailed between New York and Liverpool. The fact that it was carrying civilians while secretly transporting munitions to the Allied Powers did not stop the Germans from attacking. 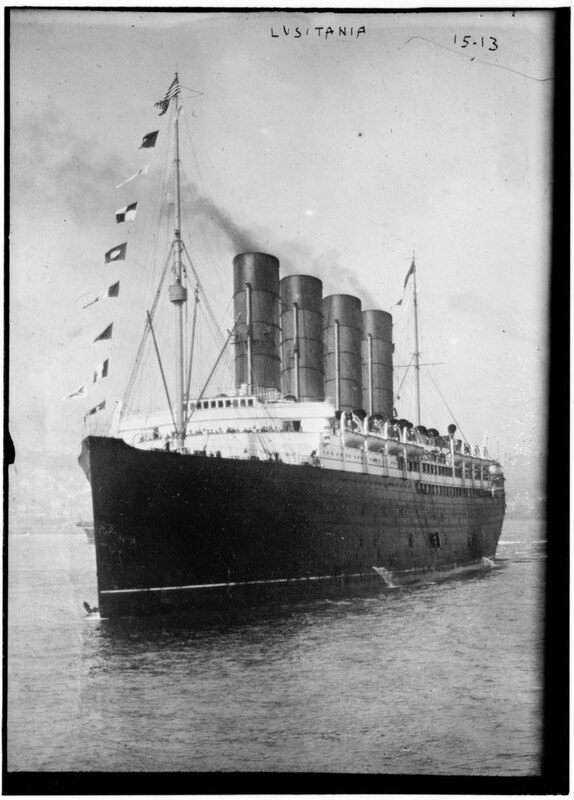 Over 1,000 passengers drowned, among them 124 Americans. Although an international outrage ensued, it did not trigger the United States to enter the War. The deaths of three people with local ties were covered closely in Greenwich newspapers. Henry and Annie Bruno were the parents of Henry Bruno, Jr., the advertising editor of the Greenwich News and Graphic. Isaac B. Trumbull was a Bridgeport resident and co-founder of The Trumbull Motor Car Company.